Nanobox provides an entire end-to-end workflow for developing and deploying applications. Using Nanobox to deploy also means you’ll use it to develop your application. With Nanobox you don’t need to worry about having Go or Hugo installed. They’ll be installed as part of the development environment created for you. There are a few things to get out of the way before diving into the guide. To deploy, you’ll need to make sure you have connected a host account to your Nanobox account, and launched a new application. Nanobox lets you choose where to host your application (AWS, DigitalOcean, Google, Azure, etc.). In the Hosting Accounts section of your Nanobox dashboard link your Nanobox account with your host. Launching a new app on Nanobox is very simple. Navigate to Launch New App in the dashboard, and follow the steps there. You’ll be asked to name your app, and to select a host and region. With those out of the way you’re ready to get started! 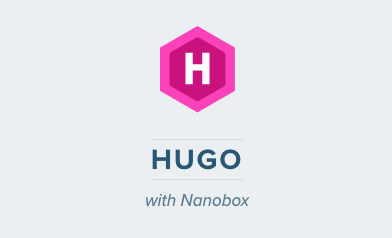 If you already have a functioning Hugo app, after adding the boxfile, you can skip to Deploying Hugo with Nanobox. 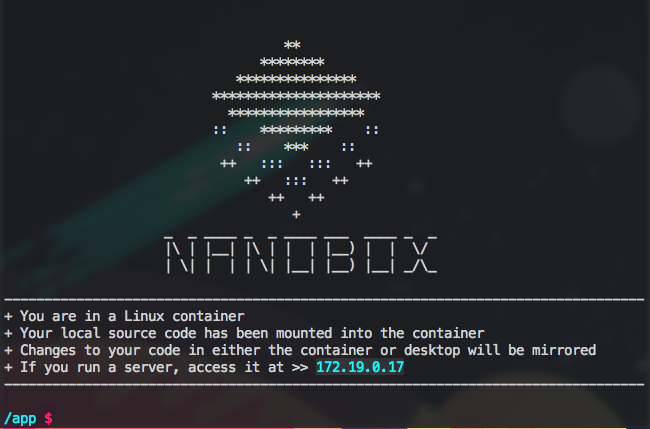 Nanobox uses Docker to create instant, isolated, development environments. Because of this, you’ll need to make sure that during development you have Hugo available. 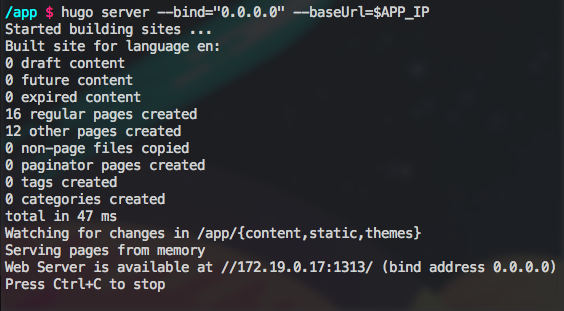 Make sure to check the version of Hugo you have installed and update the install script to match. You’ll generate your new application from inside the Nanobox VM (this is why you don’t need to worry about having Go or Hugo installed). It is not intended that you use the nanobox-hugo-theme as your actual theme. It’s simply a theme to start with and should be replaced. IMPORTANT: One issue we are aware of, and actively investigating, is livereload. Currently, livereload does not work when developing Hugo applications with Nanobox. With Hugo installed you’re ready to go. Develop Hugo like you would normally (using all the generators, etc.). Once your app is ready to deploy, run hugo to generate your static assets and get ready to deploy! If you haven’t already, make sure to connect a hosting account to your Nanobox account, and launch a new application in the Dashboard. Nanobox gives you the ability to simulate your production environment locally. While staging is optional it’s always recommended, so there’s no reason not to! Now visit your application with the IP address provided. Within minutes you’re Hugo app will be deployed to your host and humming along smoothly. That’s it! The Hugo logos are copyright © Steve Francia 2013–2019. The Hugo Gopher is based on an original work by Renée French.